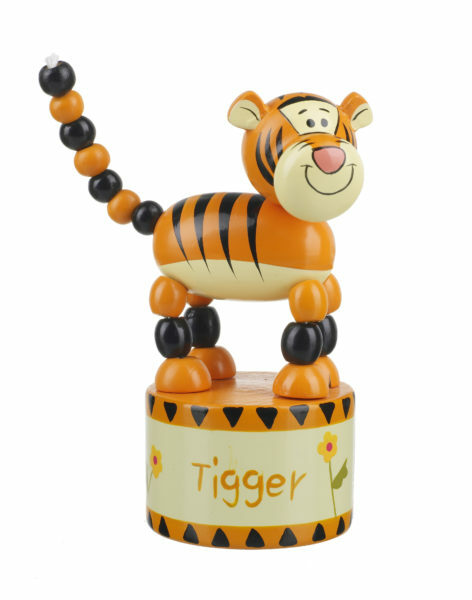 A traditional wooden push up, beautifully detailed with Tigger’s distinctive black stripes and friendly face. Tigger is the bounciest animal in the Hundred Acre Wood and his constant bouncing sometimes gets him into trouble. 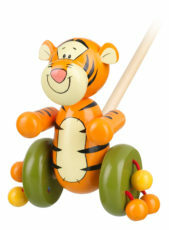 Simply press the base and watch Tigger bounce around! Children familiar with the timeless stories by A.A. Milne will adore this beautifully crafted Tigger Push Up from Orange Tree Toys.